Samanthas how to hair guides provide you with lots of useful information. Dealing with your hair can be, at the best of times, a challenge. 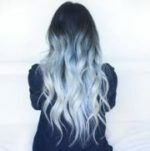 At Samantha’s, we have put together a fine range of how to hair guides that will make sure you can get all the help that you need to make your hair look absolutely stand-out in no time. From managing your curls to ensuring that your hair retains a natural sense of volume, we have a fair range of quality hair how to guides that you can really enjoy take part with. From working out how to best manage your hair in terms of the conditions/shampoos to use to how to look after your hair when you are on a camping trip, we have a wide range of topics to cover. This will allow you to use our how to guides as a fine knowledgebase for ensuring you are learning more and more about the next best steps to take. We want you to be feel comfortable and clear about the next steps in your hair care plan. We don’t want anyone to feel as if a solution is not quite suitable for them, or that they cannot find DIY assistance. One thing that we hate is the idea of leaving you without a consistent, clear and easy to work with pattern. As specialist in beauty and body care, we know how hard it is to consistently and continuously look your best. Little techniques, ideas and plans can all be put in place to help you make sure that you look your absolute best, though. This is where we come in – offering a consistent and continuous range of ideas and assistance that you can make the most of. From basic hair care plans to managing very specific colours and styles, we are all about bringing back the power and importance of simplicity. When you see awesome hair styles on the TV, or you look at someone’s hair and wish you could match its quality, it just takes the correct methodology. This is where come in, offering a friendly and absorbing solution that is almost certain to help you find a bit of help with what you need. Should you want to start solving any hair-based dilemmas on your own, you can rely upon us to help you find a credible solution today! Our how to hair guides are here to help.